To provide education that transforms ideas into action, opportunities into the global advantage, capabilities into a successful career and dreams into realities. UGI focuses to commit itself, for delivering the best possible educational experience and learning opportunities to assert the standard and to fulfill their future goal. Dream big..... We help you to achieve it! 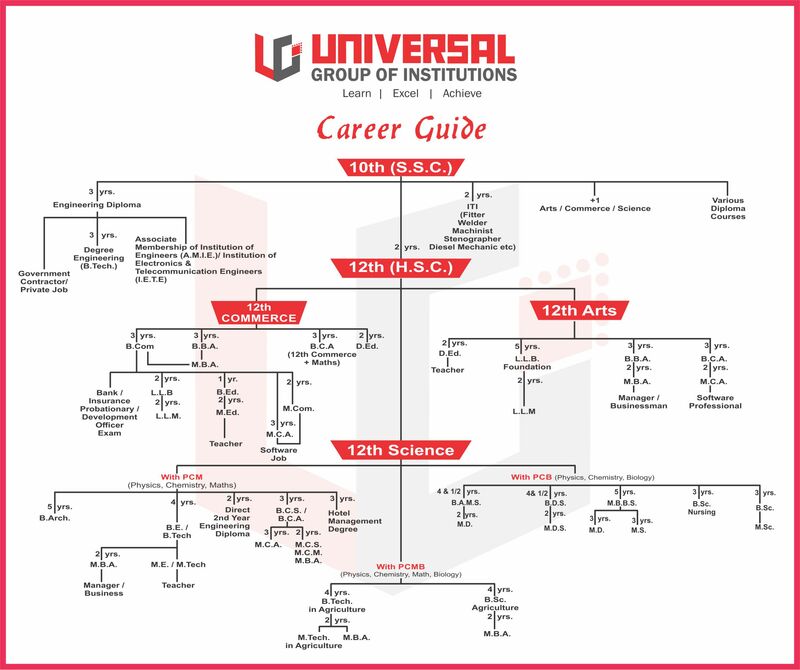 With a distinguished history of academic achievement and an ambitious agenda for the future, Universal Group of Institution offers you a learning experience rooted in a rich educational heritage and boosted by cutting-edge research and innovation. Reputed to be one of the finest institutions, UGI offers a holistic system of education that is respected by many companies in search of the finest talent across streams. 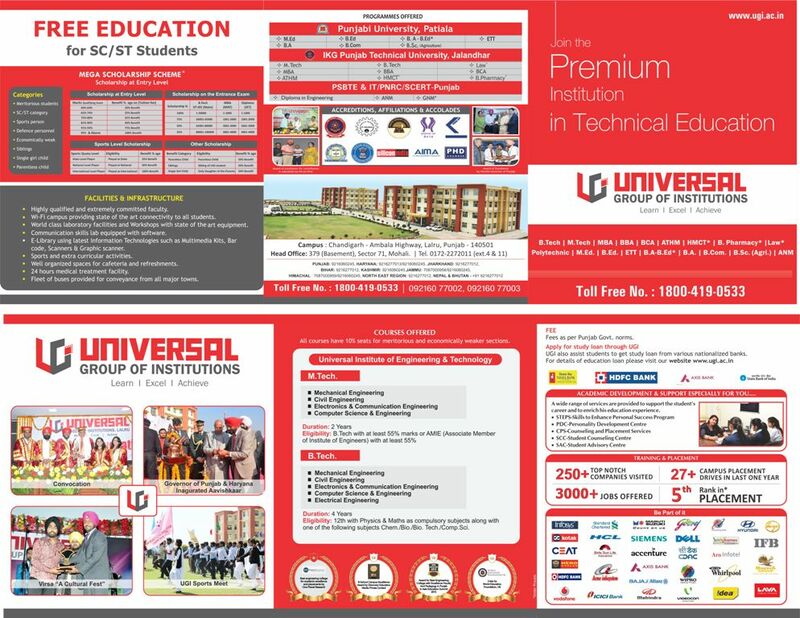 UGI is a pioneer in envisioning and evolving as a pivotal player in imparting theoretical and practical knowledge in fields of Engineering, Management, Computer Application & IT at Diploma, Graduation and Post Graduation levels. UGI is also actively exploring tie-ups with foreign universities with quality education as its main strength.